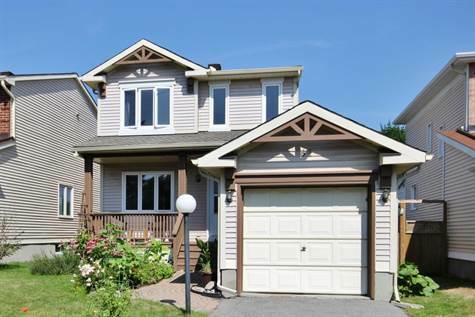 A GEM in Barrhaven. 3 bedroom, 2 bathroom home with no rear neighbours on a quiet family friendly street. Stunning hardwood floors, Updated and bright kitchen with quartz countertops, tiled entrance, New windows, New shingles, Freshly painted, H.E. Furnace, Gas fireplace in the lower rec room, Beautiful and private backyard with extra depth, The list goes on! Move in with nothing to do!